OWH Stars and Stamps (Our OLD blog! ): Back To School?! What a fun Thanksgiving challenge last week, your cards were beautiful! 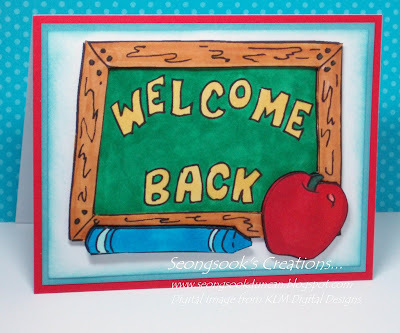 Our challenge this week is to make a Back To School card! These are due August 1, so we wanted to remind AND inspire you for that early deadline - it'll be here before you know it! 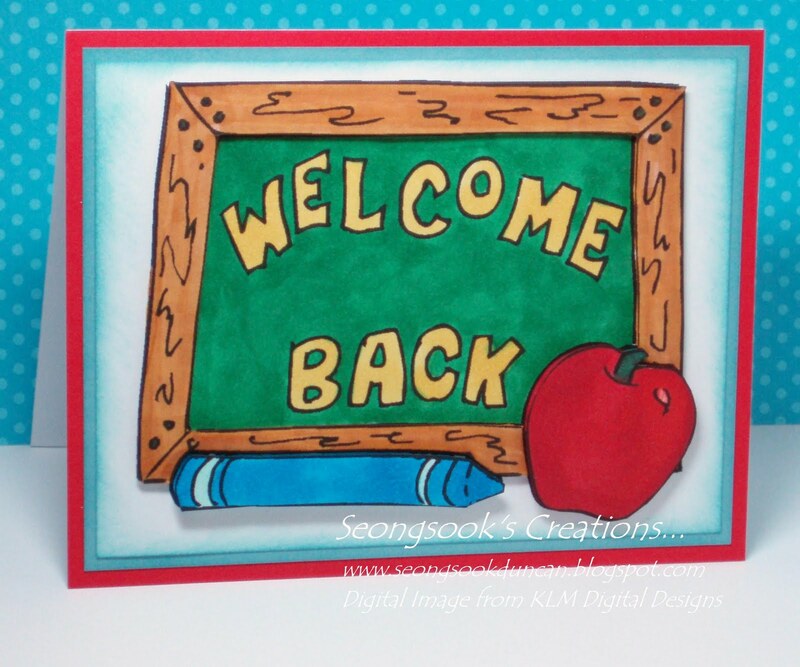 We challenge you to make cards for our heroes to send home to their loved ones using Back To School for the theme. I can’t wait to see your card creations! Our sample card maker this week is Seongsook, to see more of her fabulous art work please visit her blog Seongsook's Creations. Thank you Seongsook for sharing your awesome creativity with us! We also have a prize sponsor, The Angel Company has donated this cute unmounted rubber stamp set called Sugar Coated Sweetness for one lucky card maker. You will have until 9 PM MST Tuesday June 21, 2011 to enter your card in the InLinkz widget to be eligible to win! Wow, your timing is amazing! It's my first day of summer break, and the challenge is to get ready for back to school. It feels like I'm wishing summer away! One card coming up, but then I'll be switching themes! Sorry Kathryn, I know it's weird but the OWH cards have so far to travel it's best to get a supply early :) I can't wait to see what you create!